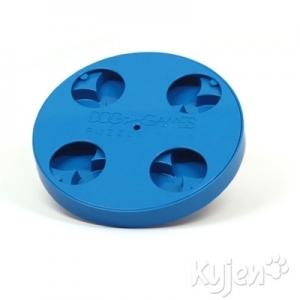 The Treat Wheel has 8 treat chambers combining the difficulties of Star Spinner and Paw Hide. The dog must use its mouth to lift each cup then spin the top to reveal more treats. Measures 9" x 9" x 2".